I'd like to call your attention to three limited editions of books by Sylvia Plath (posthumously published) that are on auction right now on eBay (ending Sunday). They are Two Uncollected Poems, Two Poems, and Million Dollar Month. Tis the season for giving Plath! One of these, "Million Dollar Month", contains the single poem that remains uncollected and would thus be a poem very few people have ever read. A disclaimer must be made that I am selling these for a friend. UPDATE: Million Dollar Month has sold. UPDATE: Two Poems has sold. UPDATE: Two Uncollected Poems has sold. 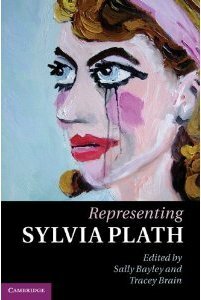 For Thanksgiving...through Oxford University Press’ web page for Heather Clark’s relatively imminently forthcoming book, The Grief of Influence: Sylvia Plath and Ted Hughes, you can read the “Introduction” in PDF format. Thank you OUP for giving us this preview of Clark’s eagerly anticipated book. Also, the book is on Amazon.com too with a Look Inside! feature that is generous. Thank you Amazon.com. Google Books has it, too. Thank you Google Books. I was bro wsing at the Brattle Book Shop on West Street in Boston in October and came across a book by Grant Uden entitled Understanding Book-Collecting. To my surprise on the back of the dust jacket was a line of books, all but one just showing the spines. The most recognizable being... that of Sylvia Plath’s Ariel in that distinctive Faber dust jacket. In the text, Plath is given mention just once, as being a writer who is collected but also of potentially questionable durability. We’ll prove him wrong yet! In the last dozen or so years since I’ve been paying attention, Plath books certainly have risen in value and desirability, particularly those books published during her lifetime. But this is another subject for another time perhaps. This got me thinking where else I’d seen Ariel. So true. I read Front Cover cover to cover and when it actually got to Ariel found the coverage it received a little disappointing; it weakly says, “Published two years after her suicide, this collection included five poems written in the last week of Plath’s life” (99). Front Cover runs the gamut giving details on how the cover can be either subtle or in-your-face as an interpretive device about the books contents or something completely abstract as well. The blurb on Ariel concluded, “The poetry list at Faber and Faber first achieved eminence when T.S. Eliot was the editor, and has continued to include many of the best Britis h poets ever since.” I shut the book in frustration. My expectations were dashed. I wanted the blurb to say something about how jacket design looks like the letters had been displaced by an earthquake; that they read louder than the neon signs at Piccadilly Circus. In fact, the flap text about the “arresting type” is far more poignant. But that page on Poetry books wasn’t a total let down, what was interesting to learn was that the the designer of Ariel, Berthold Wolpe, was also the designer of a 1960 book of poems called Lupercal. 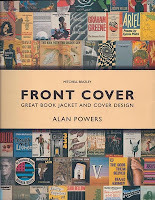 In Front Cover, the author Alan Powers says the following in his discussion of “Classic Novels”: “One of the pleasures of book-collecting is to come across a famous book in its original jacket, and to understand the relationship between the contents and the image. An original jacket still says something about the world into which the book was launched, and the publisher’s expectations of the kind of reader he was hoping to attract” (24). This is the way historicist's approach texts and the value inherent in this form of criticism cannot be understated. 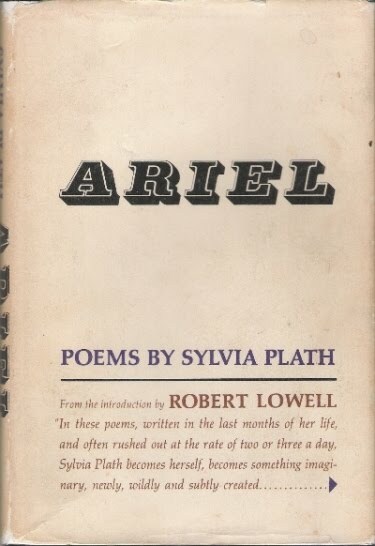 While it is often valuable to know a circumstance or the circumstances by which a Plath poem or story or novel came to be it is of crucial importance also to understand when a book - especially a book like Ariel - was published. We are where we are now because of it! Powers’ thoughts on the book collecting of classic novels above is applicable not just to classic novels, but to books in any genre. 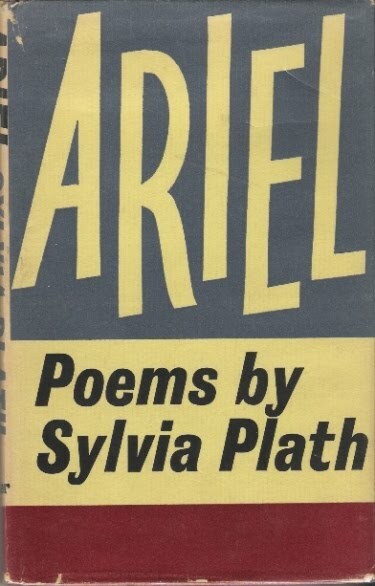 For Sylvia Plath - for Ariel in this instance - what does the 1965 Faber jacket say about the author her reader and the “world into which the book was launched”? I’ve written my thoughts on the Faber Ariel above. 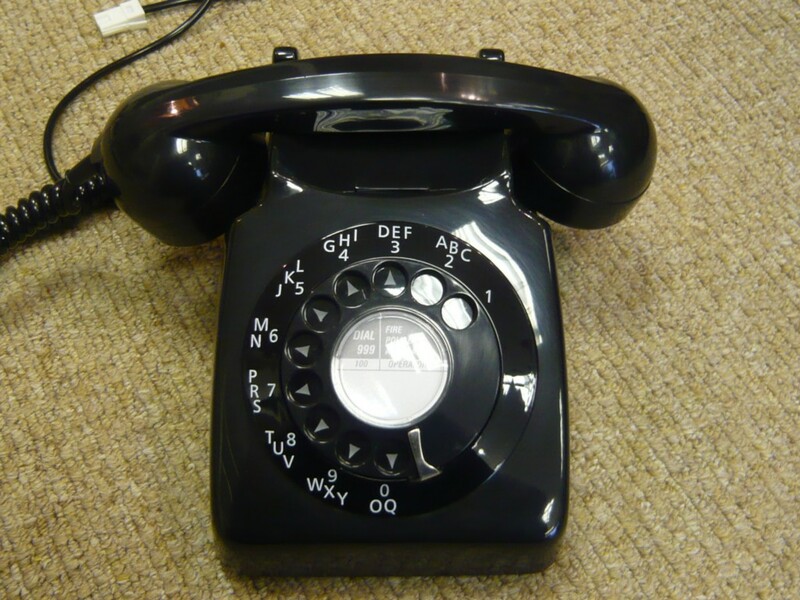 But what about its cousin across the Atlantic, the 1966 Harper & Row edition? By contrast, the first American edition of Ariel published by Harper & Row (1966) could not be more different. The vibrant primary colors have been replaced by a starkly designed book that graphically resembles a headstone. If you stare at the cover long enough; the letters appear three dimensional, they appear almost to be in motion; rising up, towards the left out of the off-white background. There was one other place, recently, I had seen the Faber Ariel. And that was on the bookshelf of Anne Sexton. I re-read the excellent Her Husband by Diane Middlebrook earlier this year. One cannot speak highly enough of this book but this is not the post for that. No. But, page 128 is illustrated with a photograph of Sexton ca. 1966 and just behind her typewriter is the 1965 Faber Ariel. 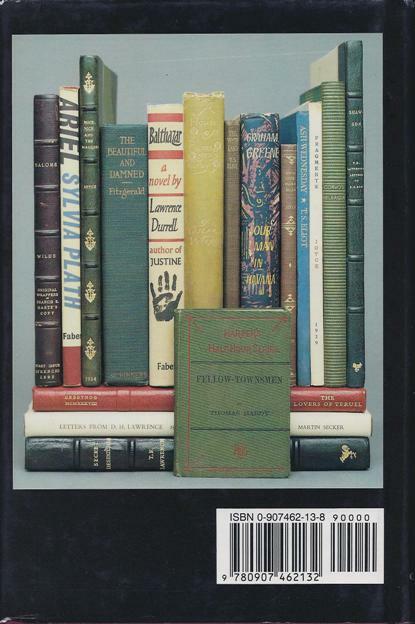 Of course you can see more Plath book covers over at A celebration, this is. The Boston International Antiquarian Book Fair was held this weekend at the Hynes Convention Center. As usual, I attended to drool over Sylvia Plath books and other very fine collectibles. Hot authors this year that were very well represented were Graham Greene, John Steinbeck, and Mark Twain. Under represented was Sylvia Plath, IMHO. Between the Covers Rare Books out of Gloucester City, New Jersey was there. They have impressive holdings and stock if you’re interested in modern firsts and rare books. And to boot, they have a great website chock-full of color images, some which rotate. If you’re interested in beginning a collection on Plath (or another author), ask for their specialized author catalog. James S. Jaffe Rare Books is another dealer with amazing quality stock, including the copy of The Colossus that Plath sent to Theodore Roethke (dated 13 April 1961, or five years to the day that she flew back from Rome to London and to Ted Hughes). He has also a copy of Howls & Whispers, Ariel (first Faber), “Sculptor”, and a rare copy of the appearance of “Dialogue en Route” from the Smith Review. Of course, there is much, much more. Thomas Goldwasser has a proof copy of the ultra rare Trois Poemes Inedits, which were poems by Plath, uncollected and neither published or listed in her Collected Poems. (Of the books mentioned so far this was the only one that was at the fair that I saw.) Not to turn this post into a dissertation on Trois Poemes Inedits... but there were just 100 copies printed of Trois Poemes Inedits. While WorldCat lists only one copy in a library (UNC Chapel Hill); the Mortimer Rare Book Room at Smith College has a very lovely copy of this with the manuscript handwritten poem tipped in. The manuscript poem is on a sheet of paper torn from a top-spiral notebook; the paper is something like five by eight inches or so. As mentioned, there were 100 copies printed, 97 are “normal”; while the three others are especial (so special indeed we add the e for emphasis). These three especial copies include the manuscript page of the poem (like the copy at Smith). I’m on the fence about this Trois Poems Inedits. The copy at Smith, with its ripped out manuscript sheet of notebook paper, had the air of something stolen. The Goldwasser copy is the editor's proofs and as one would thus expect they are marked up with layout and designed notes throughout. Quite unique. You can see a cover image of Trois Poemes Inedits on the Limited Editions page of my website. Now to what I did see! Boston’s Peter L Stern & Co had on display his $12,500 copy of a Victoria Lucas Bell Jar (pictured here). 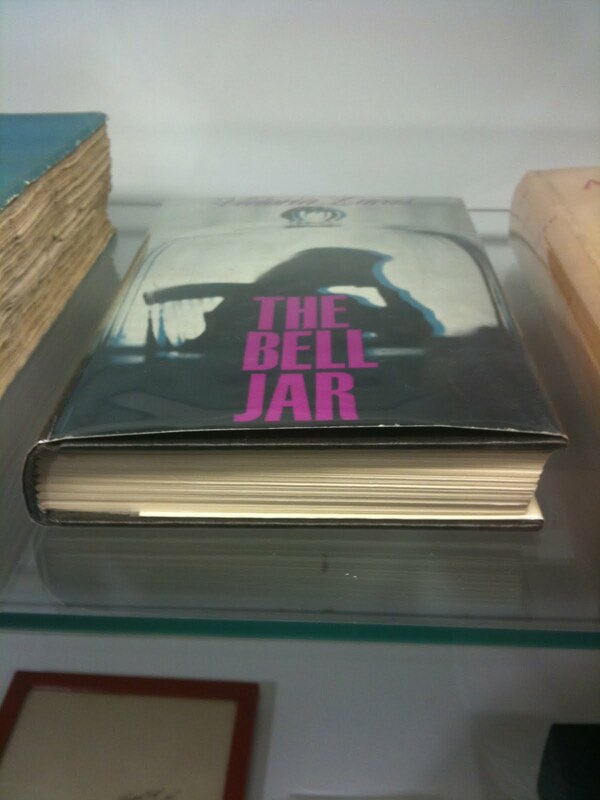 This is “The Most Expensive Bell Jar in the World”. This is one of the most glorious and gorgeous copies imaginable. Jeffrey H. Marks Rare Books of Rochester New York also has a copy for this price. 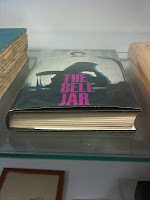 While Marks was at the fair I did not see his copy of Bell Jar displayed (though I certainly may have missed it if it was). Also on had was Raptis’ $3,750 copy of the same title. This is “The Second Most Expensive Bell Jar in the World”. Both Jonkers Rare Books and Athena Rare Books had beautifully bright copies of the first Faber Ariel. The Jonkers copy is £750 ($1,200); the Athena $1,200. (More on Ariel later this week; maybe at the weekend...) I saw some Faber first editions of The Bell Jar, Crossing the Water, and Winter Trees. I saw one first Harper & Row Ariel, too. As for the limited editions, there was a reasonably priced copy of Three Women (1968, $700); as well as copies of Two Poems, The Green Rock, and Lyonnesse. 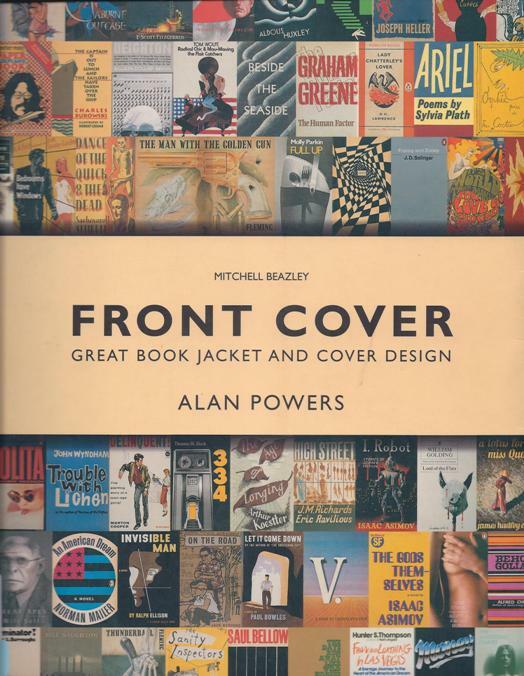 One of the many joys of this event is just walking around, looking at the pretty, fine books, judging them by their covers (in fact, many of the book covers in the Book Cover Galleries of my website have come from some of these dealers past or current stock.). And of course I don't solely look at Plath stuff... The older editions from centuries past looking more like museum artifact's than reading material, the prints and broadsides, autographs, ephemera, occasional artworks and the genuine goodness of the dealers. As 99.999% of the stuff there is outside of my means, it sure is fun to look and touch. To read more about the Boston Book Fair (and oh so much more), please head over to my friend Philobiblos’ blog. If you downloaded the individual essays please re-download them to have the most up-to-date versions. If you downloaded the entire issue, please re-download this as well for the same reason. Plath Profiles apologizes for any inconvenience. Also, the Editor's Note in Volume 3 (Summer 2010) was updated, too, so please re-download that essay and/or the full issue after the 20th of November. Sylvia Plath amassed nearly 50 rejection slips from Seventeen magazine before her first published story, “And Summer Will Not Come Again”, was published in the August 1950 issue. But, did you know... this was not her first publication/appearance in Seventeen? Plath received a letter from Seventeen letting her know of the acceptance of her “answer”, which is retyped in the letter she received on October 4, 1949. The letter is contained within her "Publications" scrapbook in Box 15 of Plath mss. II at the Lilly Library at Indiana University, Bloomington. While other libraries likely hold Seventeen, I physically examined a copy held at the Schlesinger Library at the Radcliffe Institute for Advance Study of Harvard University. They own a run of bound Seventeen’s which includes all those issues in which Plath’s work appeared. 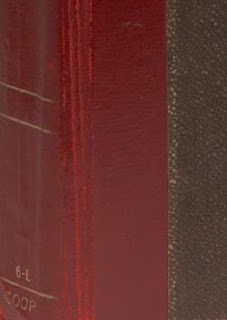 In the past, I have also worked with bound volumes of Seventeen at the Library of Congress in Washington, D.C. as well. 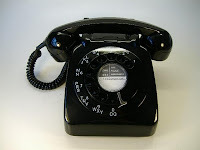 (The Call Number for this periodical is PN1993.S4.) You can see a list of Plath’s periodical publications over here. I’ve been sitting on this since January when I read the letter at the Lilly Library and confirmed with the magazine held at the Schlesinger Library. This post and the information presented was assisted by the Everett Helm Visiting Fellowship. 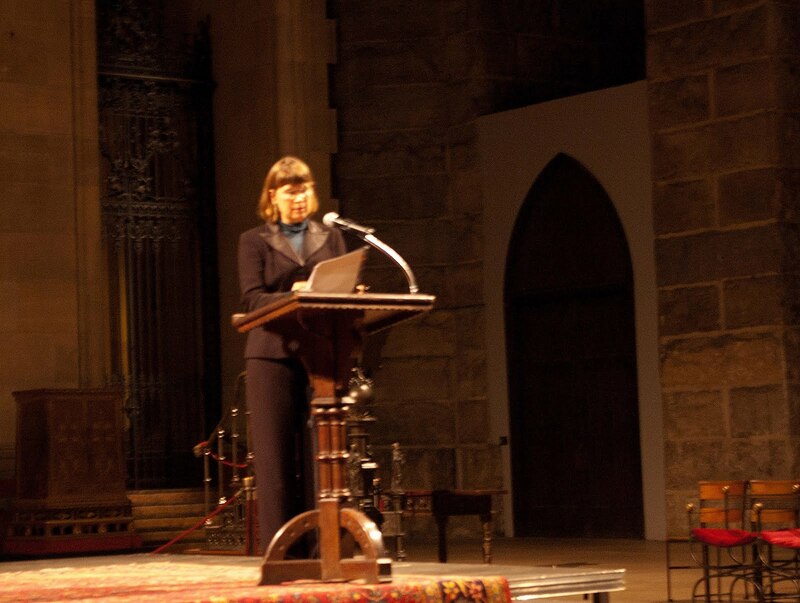 The following photographs were sent from Tristine Skyler of Sylvia Plath's induction in to the Poets Corner at the Cathedral Church of Saint John the Divine. 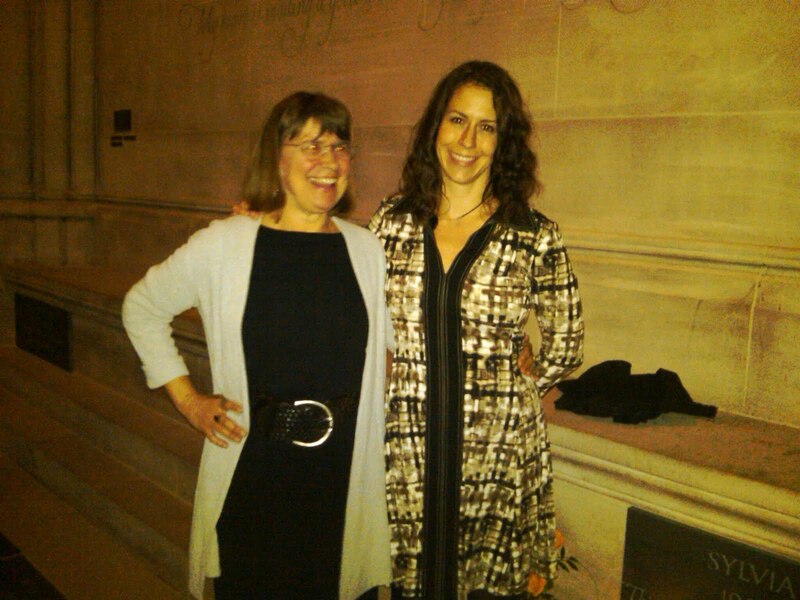 The first is of Karen Kukil with Susan Plath Winston (Warren Plath's daughter). They are standing by the plaque. 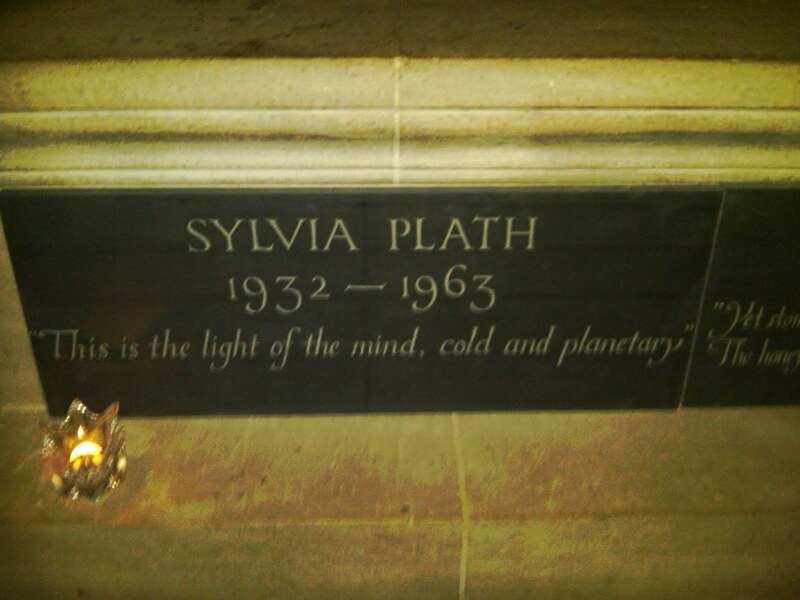 The second picture is of the plaque with the quote "This is the light of the mind, cold and planetary", which is beautiful first line of "The Moon and the Yew Tree." 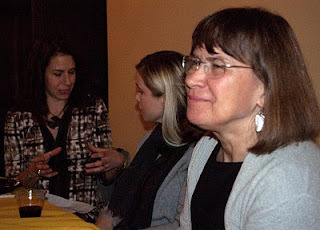 Jessica Ferri covered the event and has a post on the New Yorker's blog about it. 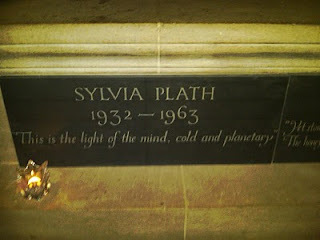 Read "The American Poets’ Corner Inducts Sylvia Plath" here. 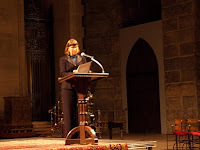 The following eight photographs were sent by Bo Kukil from Thursday's (4th November) Sylvia Plath Celebration at the Cathedral Church of Saint John the Divine. 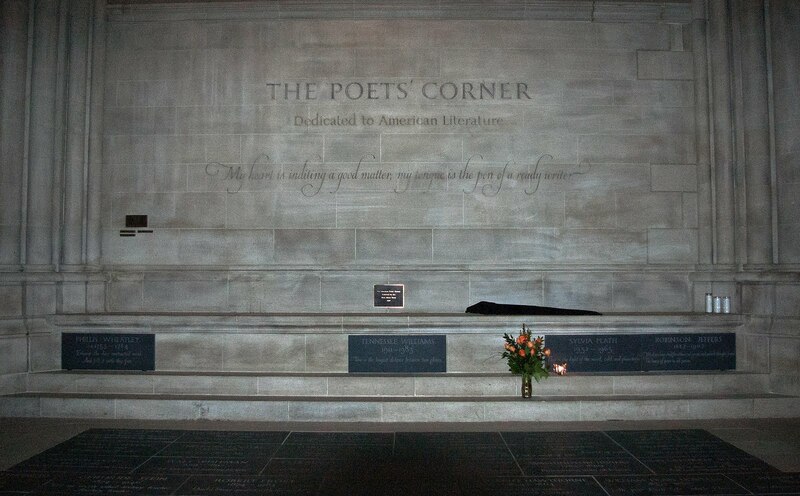 Today at 4 PM Plath will officially be inducted into their Poets Corner! 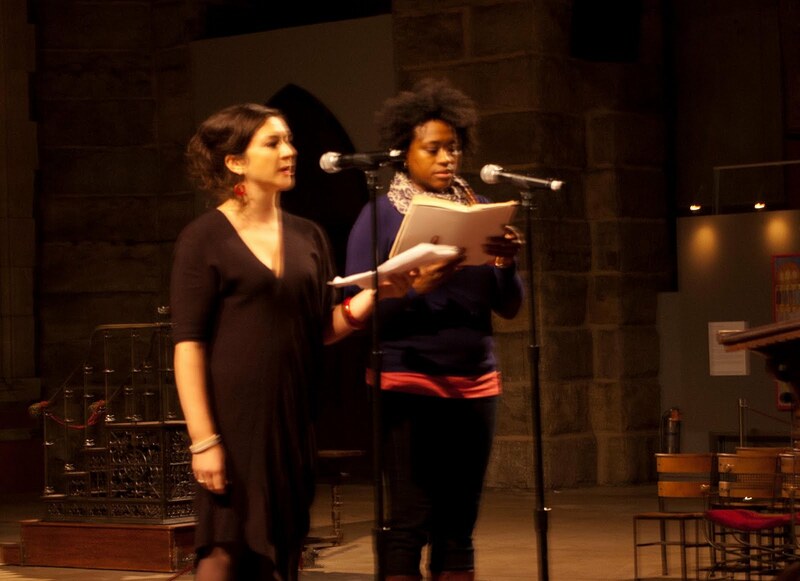 LouderArts Project poets reading "Lady Lazarus"
New article on Sylvia Plath, and more! Look for “‘The Feeding of Young Women’: Sylvia Plath's The Bell Jar, Mademoiselle Magazine, and the Domestic Ideal” by Caroline Smith, Assistant Professor of Writing at George Washington University in College Literature - October, or Fall 2010. Plath was most recently featured in the article “Mad Girls' Love Songs: Two Women Poets--a Professor and Graduate Student--Discuss Sylvia Plath, Angst, and the Poetics of Female Adolescence” by Arielle Greenberg and Becca Klaver (Fall 2009, Volume 36, Number 4). The following title was recently made aware to me by Ann Skea. A Postcard to Sylvia Plath: Poems from the dark edge by Patricia Jones. Patricia writes with passion, incisiveness and lucidity to reveal a life filled and felt to the hilt. Her work brings to mind my favourite piece by the artist Louise Bourgoise, who once embroidered on a handkerchief in perfect stitch, "I have been to hell and back and let me tell you it was wonderful". So too are the depths and heights that Patricia descends and scales, taking the reader with her all the way.' - Carole Douglas, artist, writer, traveller. 'Patricia Jones has a unique voice that comes from the intensity of her life's experience. Although that voice is her own, it resonates much more widely. Her eye for the darker side of life is unflinching, but it is softened with humanity, compassion and a gentle humour that lifts the spirit. Read her poems and allow your own heart to be touched.' - Louise Gilmore, meditation teacher, writer. 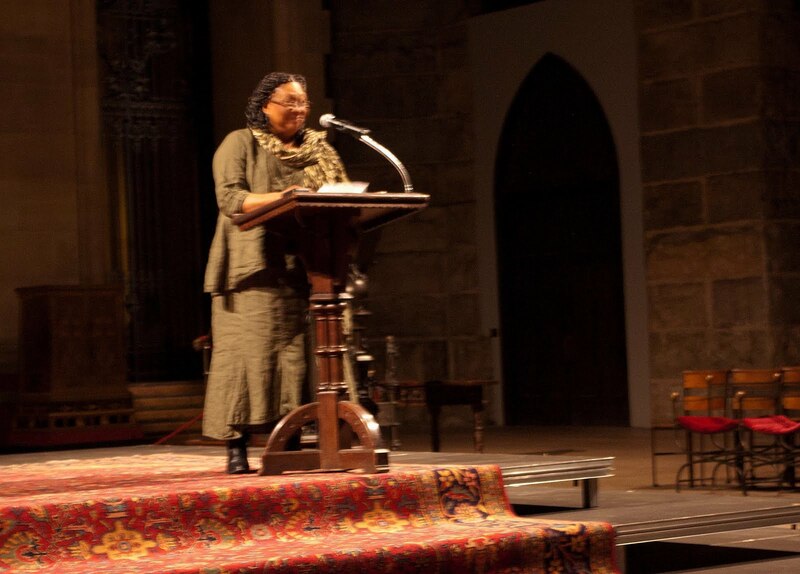 Patricia Jones, playwright, artist and poet, does not let the reader off lightly. Her poetry is strong, sensual, sometimes confronting raw truths. She fills the reader with creative images and clever juxtaposition. Her work demands the reader's attention. There is no prissy emotion here. Patricia's work takes no prisoners yet at the same time is food for the soul' - Margaret L. Grace, poet, artist and writer. ISBN: 978 1 74027 649 8, 50pp, $20.00 (Australian). For more information, visit the Gininderra Press website here. A reminder that today kicks off the first of two events as Plath is inducted to Poet’s Corner at The Cathedral of St. John the Divine. 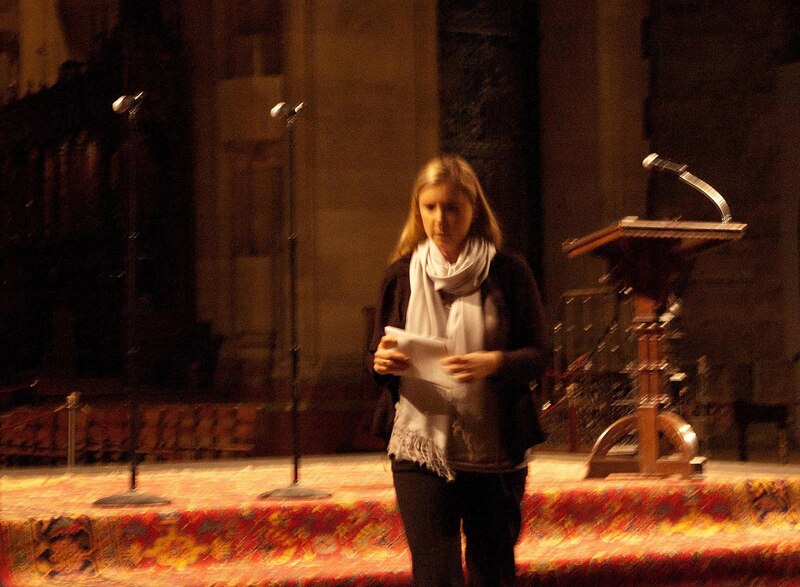 At 7:30pm tonight, poets and Plath scholars will take part in the celebration. Participants include Poet in Residence Marilyn Nelson; poet Paul Muldoon; Karen Kukil, Associate Curator, Special Collections & Archivist, Plath Papers, Smith College, speaking on her extensive work with Plath manuscripts, both as archivist and editor of the unabridged journals; poet/scholar Annie Finch speaking on the meter and music of Plath’s poetry; playwright/screenwriter/actress Tristine Skyler; and louderArts Project poets Corrina Bain, Elana Bell, Sean Patrick Conlon, Marie-Elizabeth Mali, and Lynne Procope reading Plath poems. When Sylvia Plath and Ted Hughes moved to Court Green in September 1961, they had abundant living space for the first time in their married lives. Each even got a room to serve as a study. In a 15 September 1961 letter to her mother, Plath writes about settling in Court Green and that her brother Warren “has been really a wonderful part of the family “ (429). While he was there, Warren Plath assisted in “sanding an immense elm plank which will make me my first real capacious writing table” (429). Over the next 14 months, Plath would probably write all her new poems and stories on this elm plank. And probably also typed letters home and made entries in her journals. That elm wood desk was part of Plath’s estate sale that, in 1981, would go to the Mortimer Rare Book Room at Smith College. How wonderful and coincidental that Plath lived on Elmwood Road! To celebrate this piece of elm wood and the works composed on it, here is a badly shot video. It hangs in the offices of the Mortimer Rare Book Room. 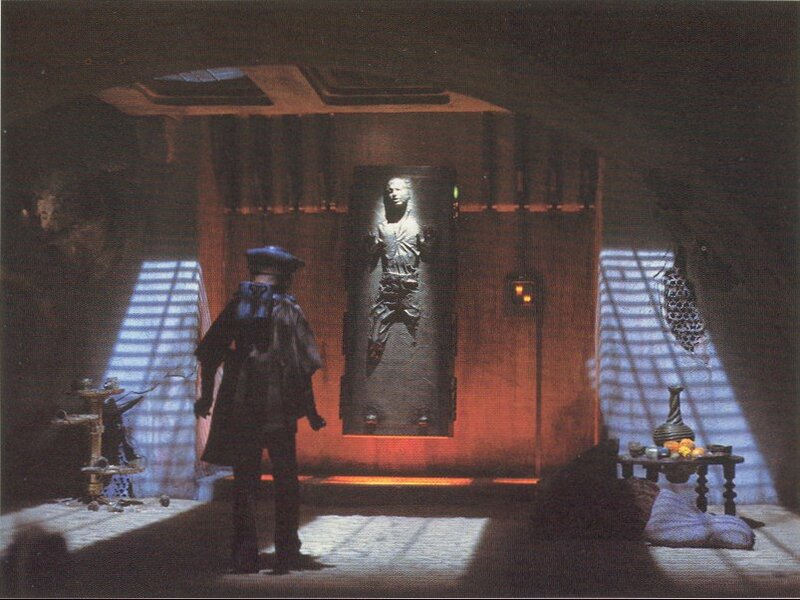 Its position hanging on a wall is highly reminiscent of Han Solo hanging frozen in carbonite in Jabba the Hut’s palace on Tattooine. I had meant to post this in October but other news and posts kind of took over! 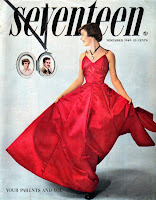 See all Sylvia Plath Info YouTube videos. Mark Ford & New York Review of Books on "Last Letter"
Mark Ford at the New York Review of Books Blog examines "Ted Hughes' 'Last Letter'" to Sylvia Plath in a post today. I like that Ford places "Last Letter" in context to where it might have appeared in Birthday Letters, by discussing it in connection with the poem that likely would have preceded it, "The Inscription." 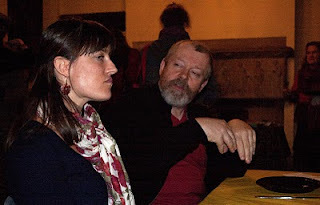 It's an honor for Gail Crowther's guest post on the Daniel Huws event in Mytholmroyd to be cited and for the blog to be referenced. Today, on the 78th birthday of Sylvia Plath, Plath Profiles publishes a special supplement to Volume 3. For those of you that read Emily Banas’ press release on 11 October, this comes as no surprise. The special issue celebrates the 10th anniversary of the publication of Plath’s Unabridged Journals, edited by Karen V. Kukil of Smith College. The issue is also serves to acknowledge, celebrate, and honor not only the work Karen did on the Journals, but also all that she had done for Sylvia Plath scholarship and researchers in her capacity as both Associate Curator of Rare Books and the scholarly supervisor of the Sylvia Plath Collection at the Moritmer Rare Book Room. I have known Karen since May 1998, when I made my first visit to the Mortimer Rare Book Room. Karen made me feel far more welcome than I believe I deserved to be! In the 12 years since that first research trip, I’ve made numerous return visits to Smith; I simply cannot get enough! Karen is a mentor and an inspiration. Her maiden name Valuckas is even strangely similar to Plath’s pseudonym: Victoria Lucas. We all like Plathian connections and none seems as coincidental and appropriate as this. Each of the contributors to this supplement were asked to do one simple thing: to write an essay on any aspect of the Journals. In doing so, we have an amazing assortment of approaches to this tome, and it shows how Plath scholars read, teach, and work with the the book. The two essays by Karen Kukil and Kate Moses are fuller, unedited versions of previously published material. 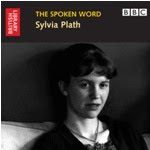 We also feature two advertisements: one for Heather Clark’s forthcoming (November 2010) The Grief of Influence: Sylvia Plath and Ted Hughes and the other for the British Library’s The Spoken Word: Sylvia Plath. 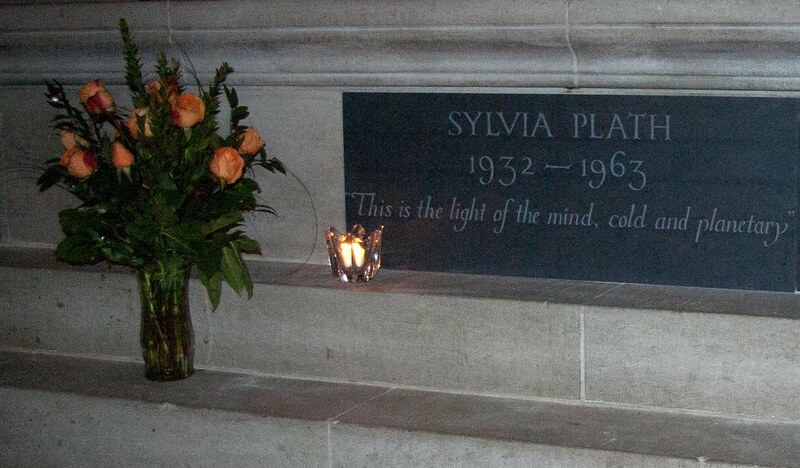 New York, NY: The Cathedral of St. John the Divine is pleased to present an evening of poetry and insight in honor of the induction of Sylvia Plath into the Cathedral’s Poets’ Corner. On Thursday, November 4th at 7:30pm, poets and Plath scholars will take part in the celebration. Participants include Poet in Residence Marilyn Nelson; poet Paul Muldoon; Karen Kukil, Associate Curator, Special Collections & Archivist, Plath Papers, Smith College, speaking on her extensive work with Plath manuscripts, both as archivist and editor of the unabridged journals; poet/scholar Annie Finch speaking on the meter and music of Plath’s poetry; playwright/screenwriter/actress Tristine Skyler; and louderArts Project poets Corrina Bain, Elana Bell, Sean Patrick Conlon, Marie-Elizabeth Mali, and Lynne Procope reading Plath poems. The formal induction ceremony will take place at the Sunday Evensong Service on November 7th, at 4:00pm. The Very Reverend James Kowalski will preside over the unveiling of the stone, inscribed with the line: “This is the light of the mind, cold and planetary,” from "The Moon and the Yew Tree." Poets Carol Muske-Dukes, Rosanna Warren, Kelly Cherry, and Major Jackson will read Plath poems. 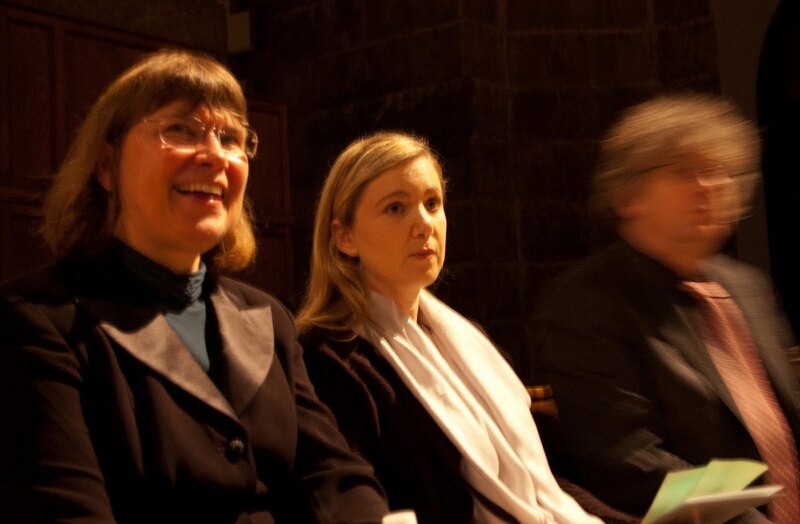 As well as music by the Cathedral Choir, there will be performances – on both evenings - of Ariel: 5 Poems of Sylvia Plath for Soprano, Clarinet and Piano, composed by Ned Rorem in 1974. The Cathedral American Poets’ Corner, founded in 1984, inducts one new writer each year. The first inductees were Walt Whitman, Washington Irving and Emily Dickinson. More recent inductees include Louise Bogan, Theodore Roethke, Langston Hughes, Gertrude Stein, Robert Hayden and Tennessee Williams. 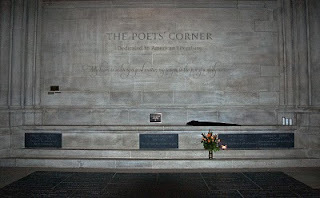 The Poets’ Corner is modeled on the Poet’s Corner at Westminster Abbey, and in fact we have two poets in common: T. S. Eliot, an American who became a British citizen and W. H. Auden, an Englishman who took American citizenship. No writers are entombed within the Cathedral, as is sometimes the case at Westminster Abbey; rather, stone tablets are carved with names, dates, and a line from each writer’s work. The Cathedral is proud to be rooted in our local genius. In historic terms—if not in current influence—American literature is still very young. 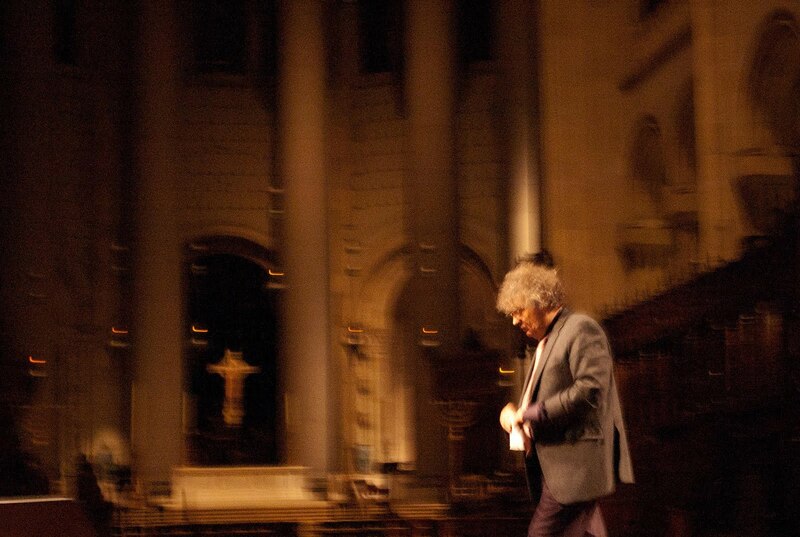 To celebrate American poets and writers fulfills the Cathedral’s mission, and reminds us of the early and continuing verbal ingenuity, insight and dazzle of our countrymen. What constitutes good or great poetry will always be contentious, and rightly so. But we believe there is great poetry being written today, and that great poetry will be written tomorrow. Whenever the energy seems to falter, when our own era seems wan and diminished, new poets come along with something new to say. Walt Whitman wrote, “Stranger, if you passing meet me and desire to speak to me, why should you not speak to me? And why should I not speak to you?” This is at the heart of the American experience, and at the heart of the Cathedral’s philosophy. Google News Archive has made available an additional article on Sylvia Plath’s first suicide attempt in August 1953. The article “Step Up Hunt for Missing Smith Student” was printed in the Schenectady Gazette on August 26, 1953: 5. This is now the second article made available by this newspaper, and the 173 that I’ve found. The first 172 are listed in the bibliography appended to my Plath Profiles 3 article "'They Had to Call and Call': The Search for Sylvia Plath." If any of this blogs readers have time, please visit your local libraries and review microfilm available for August 25-29, 1953. If you find articles, please make copies and send them to me. Collaborative Plathing is good Plathing. 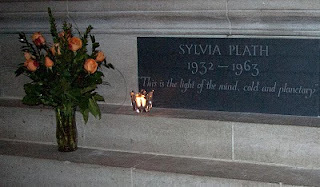 Actress Elisabeth Gray and professor Sally Bayley of Oxford University announce "The Sylvia Plath Birthday Bash" to be held this Wednesday, October 27th, 2010 from 12-4pm at the New York University Bookstore, 726 Broadway, New York, New York 10003. Although not available to most of the world, the BBC's recent series Country Tracks featured the Bronte's and Yorkshire. They do mention Plath, about 44 minutes into the program. For Plath, they present a brief biography and interview the late Elaine Connell's partner Chris Radcliffe. Christ talks about Plath and quoted Elaine and then questioned the state of the grave and why she was buried in this location. Watch it here! And thanks be to Gail Crowther for the summary and link! Last Sunday I attended a talk given by Daniel Huws in the Yorkshire town of Mytholmroyd. It was a talk filled with stories and poems and wonderful folk songs and a talk that brought alive the house at 18 Rugby Street in such vivid light. Daniel recalled his time at Cambridge where he first got to know Sylvia Plath and Ted Hughes and his subsequent friendship with both. Given that ‘Last Letter’ had just been published the previous week, it seemed as though the ghosts of 18 Rugby Street featured prominently both in Daniel’s talk and in the echoes of Hughes’ poem about Plath’s final weekend. It was enlightening to discover various elements of the poem that were slightly misremembered (and who of us can say we have never had a false memory?). Daniel felt the poem was written towards the end of Hughes’ life and thus any inaccuracies perhaps due to the passing of time, or maybe even poetic liberties. But it was the house that lay behind everything, the house in Rugby Street in which Daniel’s father owned a flat, the same flat in which Plath and Hughes spent their first nights together and subsequently a longer period of time in 1959-1960 after their return from America. They were not the only extraordinary residents though. The ground floor had the car salesman who kept his mistress, Helen, and her Alsatian dog, both of whom feature in ‘Last Letter’. However, since Helen had gassed herself three years before Plath, it is not possible that she opened the door to Susan Alliston on that weekend in February 1963. Other residents chart a somewhat tragic history -- the house, full as Daniel described it, of ‘spooks’. There was the widow on the first floor whose husband had fallen from a ladder and died; the Lebanese Drs, mother and son (the son would become the final lover of Susan Alliston before her death in 1969), the loner architect in the top floor flat who drowned at sea in his yacht and the artist Jim Downer who had studied art at Leeds and was friends with the actor Peter O’Toole. Surely a history of this house alone would make a fascinating memoir! The flat in which Susan Alliston lived was a floor above the flat in which Plath and Hughes stayed, so the claims in ‘Last Letter’ that Hughes spent the night in February 1963 in his and Plath’s marriage bed, again may be a false memory. The full facts of this weekend, Daniel feels, are probably yet to be revealed. The talk ended with a poetry reading – the first Daniel has given for over 30 years – from his collection The Quarry. Highlights for me were ‘A Dawn’, ‘Goodbye’ and an unpublished poem called ‘Debris’. This was followed by folk songs, the same songs that Daniel used to sing sitting in The Anchor in Cambridge with his friends. They were warm and humorous, much like the man himself. In the "Academic Minute" broadcast on Northeast Public Radio's WAMC, Heather Clark - author of the imminently forthcoming and eagerly anticipated The Grief of Influence: Sylvia Plath and Ted Hughes (Oxford University Press) - discusses Sylvia Plath, attempting to dispell some of the "crude misperceptions about Plath in the popular imagination" that have existed since Ariel was published in the mid 1960s. This minute was just too brief and it makes me look even more forward to her book, which should be a considerable addition to Plath scholarship. Michael Rosen on "Last Letter"
Published today, Michael Rosen has a long piece on Sylvia Plath and Ted Hughes on the New Statesman's website (and maybe in the periodical itself, but who can find a bloody copy in Boston?). Read "A Minotaur in the Maze", on Ted Hughes' poem "Last Letter". Sylvia Plath published frequently in Seventeen and Mademoiselle throughout her undergraduate college years. Did you know that both periodicals purchased poems but that these poems appear never to have been printed? Seventeen purchased "Sonnet to a Dissembling Spring" in March 1953. Mademoiselle purchased for "inventory" Plath's poem "Parallax" on 17 November 1954. My suspicion is that Seventeen erroneously purchased "Sonnet to a Dissembling Spring" in March 1953. Plath had a number of poems and stories printed, mostly in the "It's All Yours" section of the periodical. By March 1953, Plath was 20 years old and Seventeen typically only printed poems and stories in "It's All Yours" by those still in their teens. As for "Parallax"... Sylvia Plath won Honorable Mention in Mademoiselle's first Dylan Thomas Poetry Award in January 1955. It may be that this was her submission... 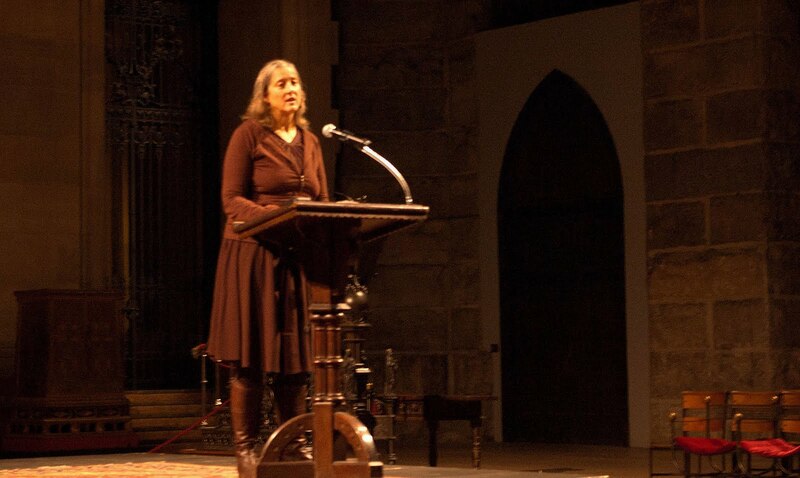 The collegiate winner was Linda Pastan, who has had a remarkable poetry career. In Spring 1971, Pastan published "For Sylvia Plath" in the Michigan Quarterly Review (Vol. 10, No. 2), page 93. This is one of the better treatments of Plath, poetically. Over at the New Statesman blog, read two responses to Ted Hughes' "Last Letter" to Sylvia Plath by the poet Michael Rosen and Plath's dear friend Elizabeth Sigmund. Al Alvarez has posted a short follow-up on the Guardian Books Blog "Ted Hughes's 'Last Letter' to Sylvia Plath: Second thoughts." The subtitle being, "On reflection, I realise I wasn't harsh enough on the poet when I considered the poem." I can see Alvarez wiping his hands clean and I suspect that the haze of the first impressions craze has died down and we're moving into possibly the more contemplative phase.